Are you having a camping party? A circus party? A costume party where everyone dresses up as the biblical matriarchs? You need this invitation! Before I start the tutorial, I have to say this: these invitations are a bit labour intensive and are best for someone who really, really, REALLY loves crafting. If you don’t, consider doing this with origami paper instead of fabric. Or, you know, send an evite like every other normal parent. As I said last week, these invitations are probably a bit over the top for a birthday party… but they’re so darn cute! I designed my invitations to fit in a 4 1/2 by 6 1/4 invitation envelope (they sell them in boxes of 50 at Staples), but you can obviously change it to fit whatever size you need. fabric for the tent – any colour you like. I used an olive green. thread in a contrasting colour to the fabric. I used pink. 1. Print the pdf template on a piece of cardstock. Cut out the bottom shape and use it as a pattern: trace onto the fabric and then cut it out. 2. 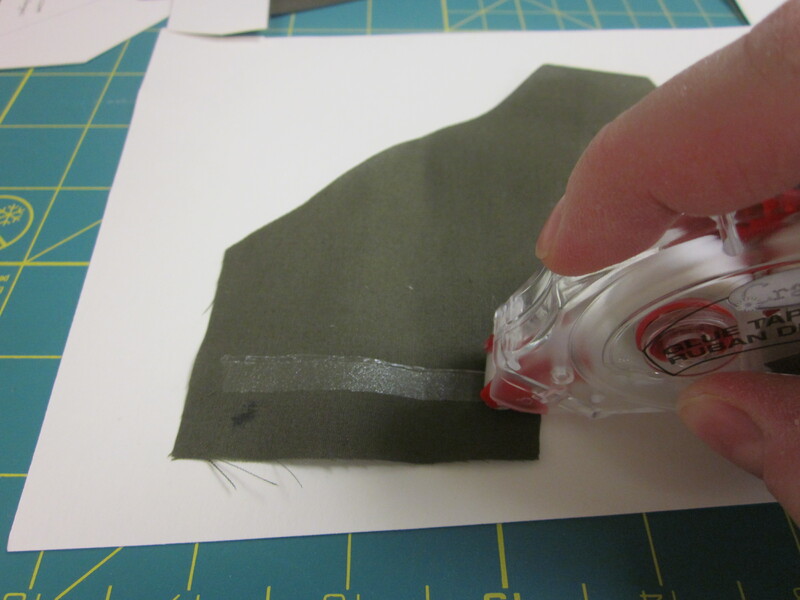 Make a line of glue about 1/2 inch above the bottom of the tent shape, on either side of the opening. 3. Fold the bottom edge over twice, making sure that it is straight and even. Stick it down to the glue. Do this on both sides. 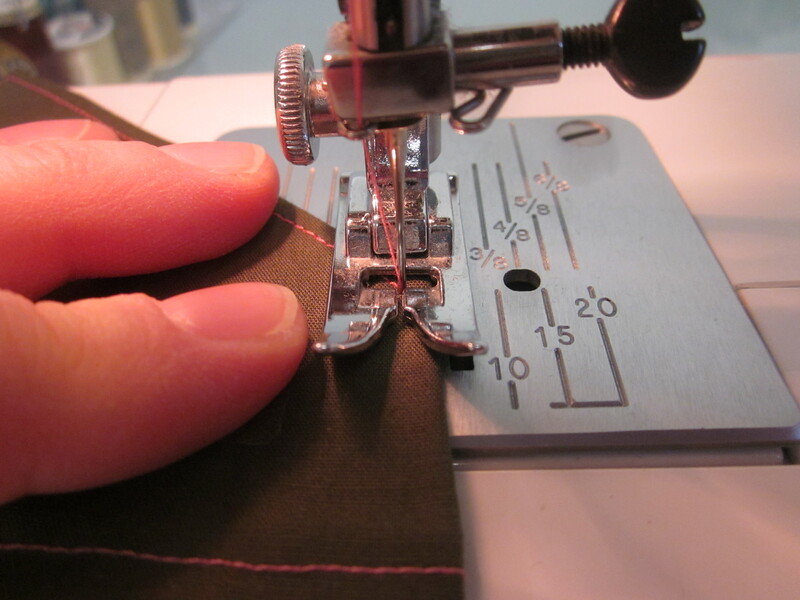 Using your sewing machine, sew a straight stitch (short stitch length) along the bottom edge, up the side of the opening, down the other side, and across the bottom edge of the other side. 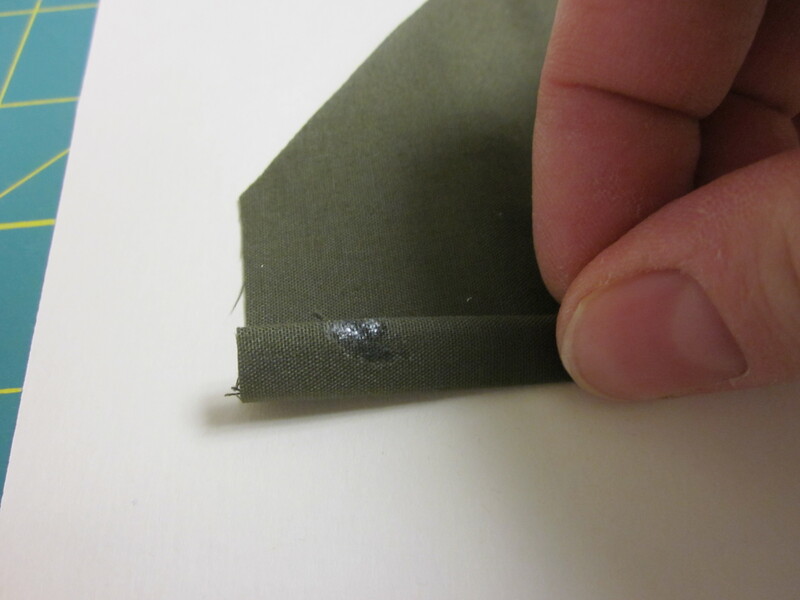 Now you have a sewn hem on the bottom and decorative stitching along the edge of the opening. 4. Take a breat here to print out the cards with the invitation text. My pdf file has a fill-in-the-blanks version, or you can leave me a comment here asking me to email you the Word file. Cut the invitations out along the black line. Don’t worry if the black line shows – it will be covered in the end. 5. Place the fabric tent face down. Center the invitation card on it, also face down (you may want to use a bit of glue around the edges of the front of the card to tack it down). 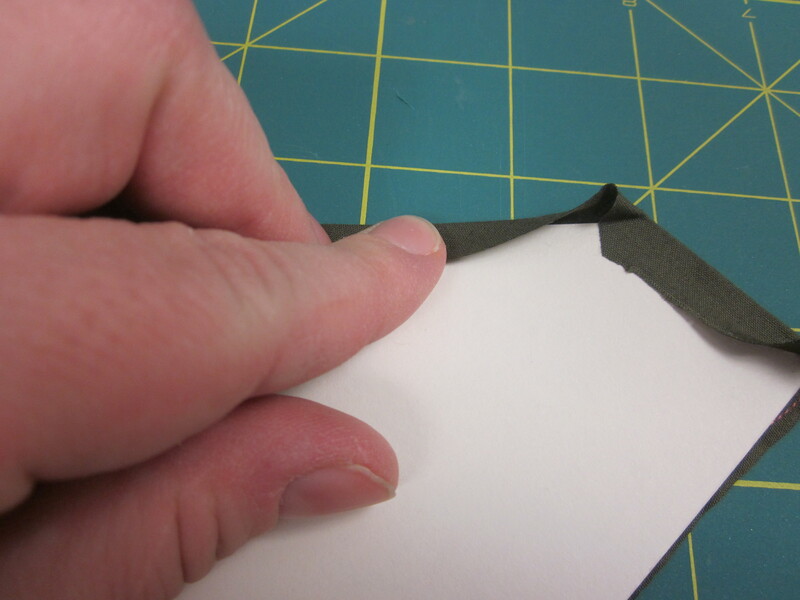 Lay down a line of glue along the sides and top of the invitation (back of the cardstock). 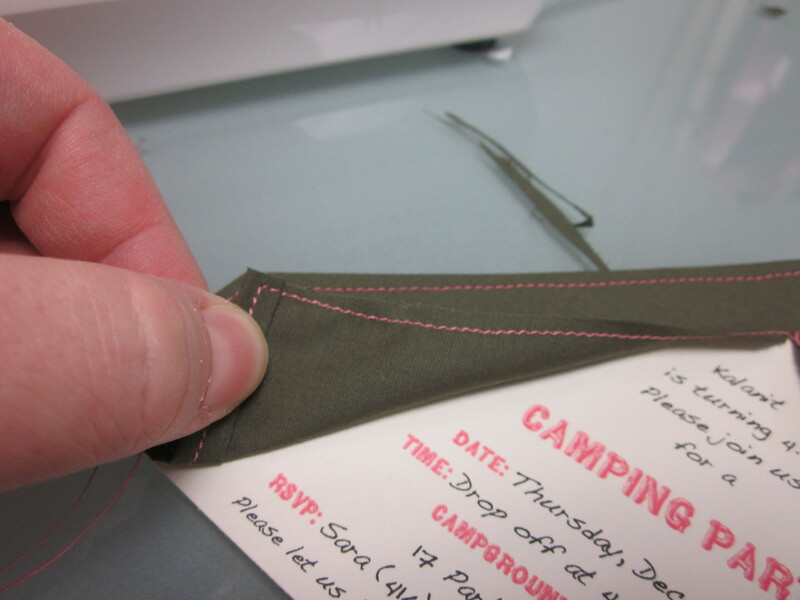 Fold the excess tent fabric over the edge of the invitation and press it down on the glue. Fold the corners neatly or trim them so that the fabric lies flat. 6. Starting at the bottom left corner, topstitch all around the sides and roofline of the tent, leaving the bottom open. This looks best if the stitching is quite close to the edge’ as you see in the photo, I use the little opening in the presser foot to measure and to keep the stitch parallel to the edge. Don’t forget to backstitch a little at the beginning and end. 7. Now it’s time to fold back the tent flaps. Experiment with the placement of the corner. When you have the position you want, stitch down the corner of the tent flap. I used a straight stitch over some of the existing stitching. You only need a few stitches (secured with a backstitch, of course). 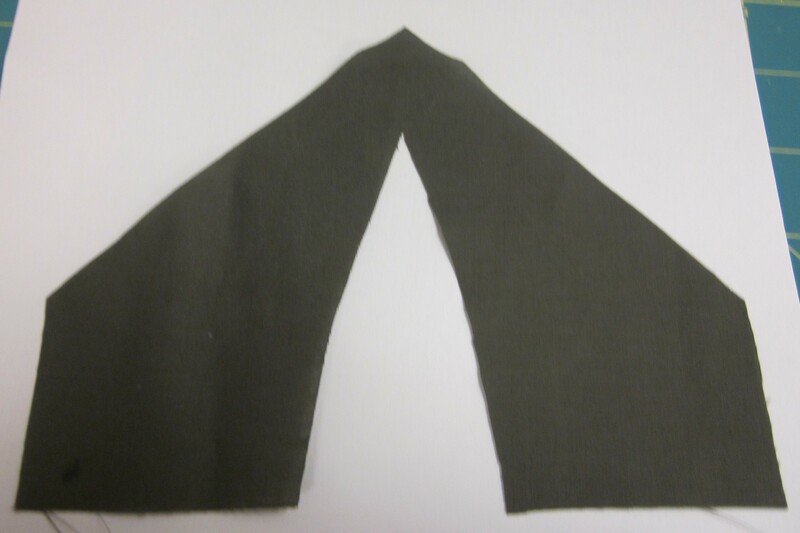 The entire flap does NOT need to be sewn – just the corner, to hold it in place. Do this on both sides, obviously. So so cute! I could never do this but its adorable! wow, really amazing! It could even work for an outdoor wedding invite, or a circus themed party. thanks so much for sharing on Craft Schooling Sunday! where exactly is the pdf/link? Hannah, I had to take it down due to technical difficulties. I can email it to you if you like. Hi! Can u email me the PDF for the tent invite please. Aloha! 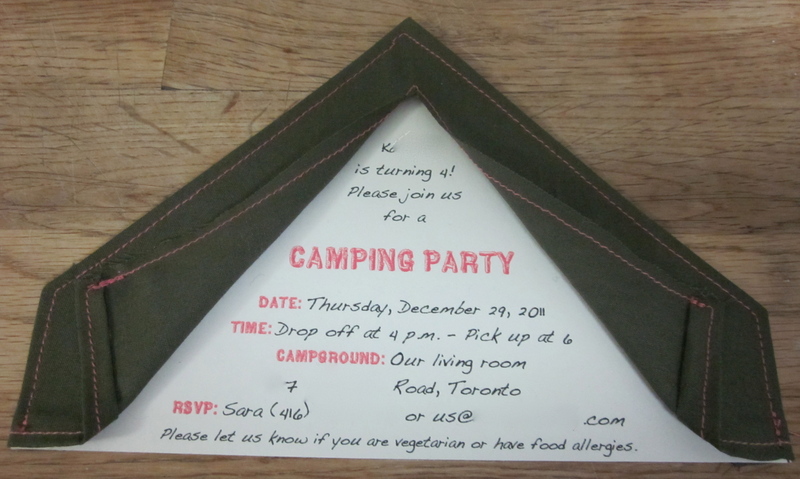 I would love to make this invite for my sons birthday invites….can you email me the PDF? Love these! I would like to make them for my son’s upcoming party. Could you email me template please? Thanks so much! Could you send me the template please? I love your idea and would love to use it! THANKS!! These are darling! My daughter is having a camping party soon and would love me to make them. Would you mind emailing me the template as well? Thanks so much! could you email me the template please? thank you! Could you please send me the pdf by email? I didn’t see it in the sidebar.